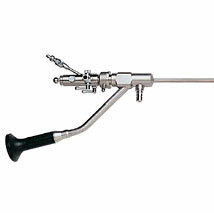 We are one of the trusted exporters of Uretero and Renoscopy Instruments that are designed as per industry norms. Our range of instruments include Uretero-Renoscopes, Adapters, Stone Grasping Forceps, Stone Grasping Forceps, Long Stone Grasping Forceps, Scissors and Biopsy Forceps. These are clinically tested by our team of professionals to ensure safety. We offer these equipment at industry leading prices. Uretero Renoscope offered finds application in transurethral examination as well as treatment of ureter and renal pelvis. Coming with small outer sheath size of 8.5 Fr., these provide for optimal access to all renal areas and offers smooth control of distal tip, thus providing for direct transmission of hand movements through to distal end. Offering superior picture quality because of continuous irrigation, it has separate working channel for laser fibres and delivers maximum reduction in time because of simultaneous use of laser fibre and stone basket. 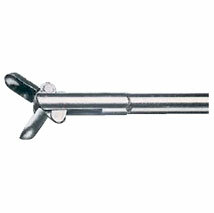 With brake mechanism for locking instrument tip, its smaller outer diameter provides for less traumatic experience for patients and provides for maximum stability. 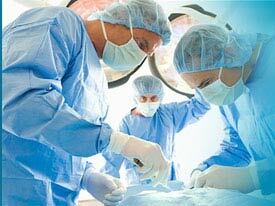 For transurethral examination and treatment of the ureter and renal pelvis. 10/12 Charr., Telescope 8°, working channel 5 Charr. 310 mm H50-080-000 435 mm H50-080-001. We are regarded as one of the renowned supplier and exporter of Medical Adapter for EMS-Lithotripter, which is suitable for the treatment of kidney. 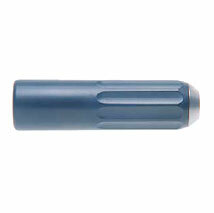 These instruments are precision engineered made using high grade plastics and other allied metals and materials. Also these are available in standard dimension and designed ergonomically by our team. These instruments are highly-regarded for being minimally invasive, with better quality display. Grasping Forceps offered are offered in lengths of 60 cm with double action jaws that are rigid, flexible and color coded for easy identification and handling. Offering single-use, these are sterile and are intended for removal of renal and ureteral stones using endoscopic means. These grasping forceps supports operation needs of grasping body tissues and helps in adding versatility to operation process. 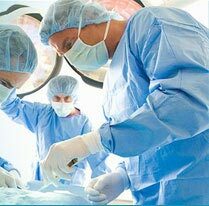 Here, while performing the process, the caution need to be taken for objects that are too large for removal through endoscopic means using retrieval device. Flexible Semi Rigid Rigid Diameter Charr. Fr. 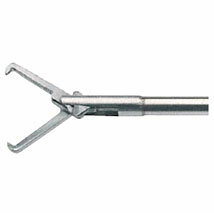 Stone Grasping Forceps offered are suitable for larger stones and are in length of 60 cm with double action jaw finish. 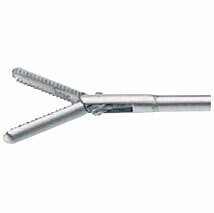 Offering a rigid and flexible support, these endoscopy forceps for stone grasping deliver superior utility in operations involving renal cavity and are periodically improved upon based on feedback programs that allow us to better understand the specific demands of fast changing operation methodologies. Finding application in medical care centers like hospitals, operation theaters, these come with ergonomic handle and locking mechanism that provides for accurate stone feel and helps in holding it securely as well as offer easy release. Rigid Semi Rigid Rigid Diameter Charr. Fr. Long Stone Grasping Forceps offered are of 60 cm in length and feature double action jaws that provides for rigid and flexible action. Designed to deliver complete accuracy and precision working, these are based on best engineering and dynamics so as to provide for easy usage in meeting every clinical requirements. Along with long jaws, these have rat tooth for firm grip and are autoclavable. 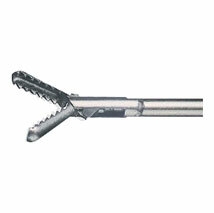 Biopsy Forceps offered are of 60 cms in length and feature double action jaws providing for rigid and flexible usage. As versatile instruments, these offer possibility of being used as dissector and biopsy forceps. Coming with durable design support, these come with conventional style handles that provide for a comfortable feel while handling the operations. 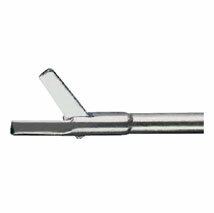 Available with or without ratchets, these are manufactured from hardened stainless steel that provides clean, sharp cutting action. Surgery Scissors offered are of 60 cm in length and comprise single action jaws that offer rigid and flexible usage. These are designed to provide optimum functionality as surgical instruments used for cutting operations and can be used for different processes like bandaging, dissecting, stitching. Made of hardened stainless steel, these come with tungsten carbide reinforcements along cutting edges with hardness of material allowing manufacturers to create sharper edges, thus allowing for easier and smoother cuts. The scissors are also available in various configurations like Blunt/blunt blades, Blunt/sharp blades and Sharp/sharp blades.